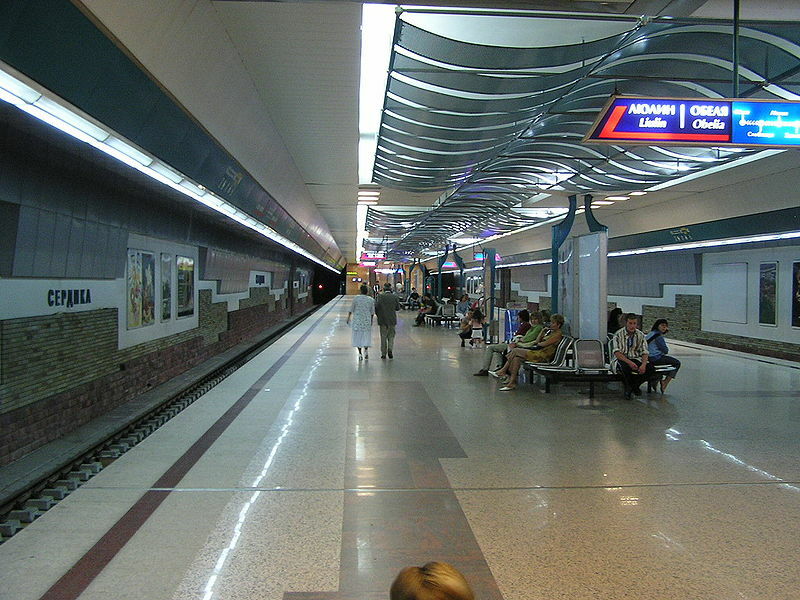 Bulgaria has opened the second line of the Sofia metro, expanding the capital city’s underground railway network. Sofia metro’s Line 2 will start at Obelya and will run to Nadezhda and Tsentralna station, then through the centre of the city to Serdika, the National Palace of Culture and James Bourchier in the Lozenets district. The new 17km line, which includes 11 stations, will bring the city’s metro rail network to 27 stations over a distance of 31km. The new line will be served by 18 new three-car Rusich series 81-740/741 metro trainsets produced by Metrovagonmash and equipped with Hitachi electrical equipment, transporting an estimated 130,000 passengers per day. Twelve Rusich series trains are being delivered to Line 2, with the last scheduled to be delivered by the end of 2012, while six sets have been allocated to the existing Line 1. The new line will help to modernise the city’s transportation system, decrease environmental pollution, as well as improving the living standard of thousands of citizens, according to European Commission president José Manuel Durão Barroso. The European Union has financed 50% of the total cost of the project by paying a total of €476m. Barroso said: "Working side-by-side with the Bulgarian authorities, we have together completed this project that serves to stimulate the economy, make traffic safer and faster, and allow for a more pleasant urban life." The new metro line will also help in providing integrated and sustainable public transport, connecting all modes of transport in the city. Line 1 is being extended to Sofia Airport, and Bulgaria is studying a plan for a third line from Knayevo to Vasil Levski. Under the plan, Line 2 is planned to be extended from the south to Hladinika with two stations, and to the north with a branch to Ilijantzi with three stations. Image: Line 2 of Sofia metro will run to Nadezhda and Tsentralna station, then through the centre of the city to Serdika, the National Palace of Culture and James Bourchier in the Lozenets district.